Research proves you get a better night's sleep on cotton than on synthetic fibers because cotton naturally allows your skin to breathe and doesn’t trap heat under the covers. 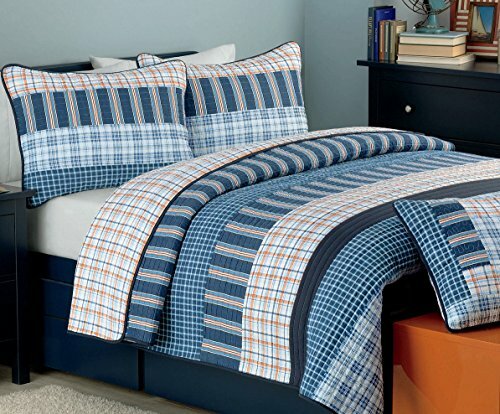 Fashion stripes give this traditional quilt and sham set a cheerful look perfect for a child's bedroom. Supremely soft cotton keeps a little bed cozy and comfortable with the perfect amount of warmth. SOFT, WARM，LIGHTWEIGHT, AND COMFORTABLE. EASY CARE: Machine washable, tumble dry low. Quality material designed to last.